Some of you may think I've lost my mind. It is entirely possible I have. 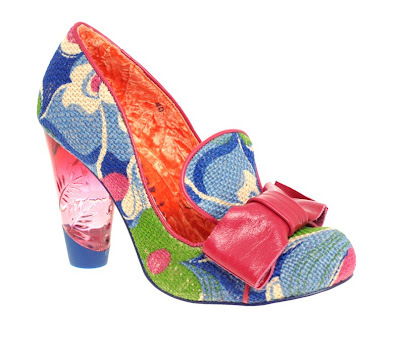 But dear reader, these Irregular Choice heels have stolen my heart completely and absolutely. Is it because they're made of raffia which is solely a sunny day fabric? Is it because they exude a slightly tropical promise whilst retaining the shape of a Versailles court shoe? Is it because I just really like sturdy block heels? Who knows? It's likely to be all these things and more. Sometimes you can't explain love.